In accordance with Article 9 of the North Atlantic Treaty and the guidance given by the Working Group on the North Atlantic Treaty Organization during the first Council session in Washington in 1949, the Defence Committee rapidly established the Military Committee. During its few sessions held behind closed doors in Washington, the Military Committee gave policy guidance on military matters to the Standing Group, and advice on military questions to the Defence Committee and other bodies, and it recommended military measures for the unified defence of the North Atlantic region to the Defence Committee. The Military Committee was directly subordinate to the Defence Committee, and each member nation was represented by its chief of staff or a deputy. Iceland, which had no military forces, was represented by a civilian. Each member state in turn held the Chair of the Military Committee for one year (C1 D-1/2, DC 1/2). the Military Representatives Committee (MRC), created at the end of 1950, to ensure communication of information and points of view between the Standing Group and Alliance member states not represented on it. The Chairman of the Military Committee chairs all meetings and acts in an international capacity. In his absence, the Deputy Chairman of the Military Committee takes the chair. The current Chairman is United Kingdom Air Chief Marshal Stuart Peach. ^ https://www.nato.int/cps/en/natohq/topics_69471.htm, NATO: Deputy Chairman of the Military Committee (DCMC), Jan 19, 2016, retrieved Feb 22, 2018. ^ Mehta, Aaron (29 June 2018). "NATO has a new top military adviser". ^ "FIRST SESSION - REPORT OF THE WORKING GROUP ON ORGANISATION AS ADOPTED BY THE COUNCIL ON SEPTEMBER 17TH, 1949 - NATO Archives Online". Archives.nato.int. Retrieved 2017-09-19. ^ "Directive To The Military Committee (Mc) - Nato Archives Online". Archives.nato.int. Retrieved 2017-09-19. ^ https://www.nato.int/cps/en/natohq/topics_49152.htm?selectedLocale=en, NATO: Chairman of the Military Committee, Dec 7, 2017, retrieved Feb 20, 2018. 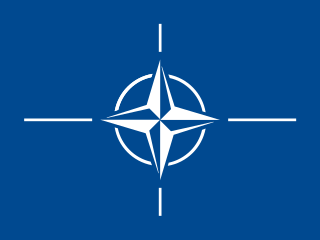 ^ NATO. "Chairmen of the NATO Military Committee". NATO. Retrieved 14 February 2018. Douglas S. Bland, 'The Military Committee of the North Atlantic Alliance: A Study of Structure and Strategy,' New York, Praeger, 1991. Nicholas Bernard Kehoe III is a retired United States Air Force lieutenant general who served as a fighter pilot during the Vietnam War. His last active duty assignment was as the Inspector General of the Air Force, Office of the Secretary of the Air Force. After over 34 years of military service, LtGen Kehoe continued in public service as the Assistant Inspector General in the U.S. Department of Housing and Urban Development (HUD). As of March 1, 2003, he became the President and CEO of the Medal of Honor Society. Air Chief Marshal Sir Stuart William Peach, is a senior Royal Air Force officer. After training as a navigator, Peach commanded IX (Bomber) Squadron and then became Deputy Station Commander RAF Bruggen. He was deployed as NATO Air Commander (Forward) in Kosovo in 2000. He went on to be Chief of Defence Intelligence in 2006, Chief of Joint Operations in 2009 and the first Commander of Joint Forces Command in December 2011 before being appointed Vice-Chief of the Defence Staff in May 2013. Peach succeeded General Sir Nick Houghton as Chief of the Defence Staff on 14 July 2016. He succeeded General Petr Pavel as Chairman of the NATO Military Committee on 29 June 2018. The Secretary General of NATO is an international diplomat who serves as the chief civil servant of the North Atlantic Treaty Organization (NATO). The Secretary General is responsible for coordinating the workings of the alliance, leading NATO's international staff, chairing the meetings of the North Atlantic Council and most major committees of the alliance, with the notable exception of the NATO Military Committee, and acting as NATO's spokesperson. However, the Secretary General does not have any military command role, and political, military and strategic decisions ultimately rest with the member states. Together with the Chairman of the NATO Military Committee and the Supreme Allied Commander the Secretary General is one of the foremost officials of NATO. The current Secretary General is Jens Stoltenberg, the former Prime Minister of Norway, who took office on 1 October 2014. The Committee of Chiefs of Military Medical Services in NATO (COMEDS) is the North Atlantic Alliance's senior medical body, reporting to the NATO Military Committee. It is headed by a chairman, is composed of the Surgeons General of the allied nations and the senior medical advisers within NATO's command structure, and meets twice annually in plenary session. Supported by NATO's integral medical staff and numerous specialized multi-national working groups and panels, COMEDS acts as the central point for the development and coordination of common standards and for providing medical advice to the Military Committee. The Deputy Chairman of the NATO Military Committee (DCMC) is the deputy head of the NATO Military Committee. 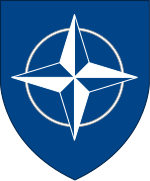 The International Military Staff (IMS) is an advisory body of the North Atlantic Treaty Organisation's (NATO) Military Committee (MC), which in turn supports the North Atlantic Council (NAC). Based in NATO's headquarters in Brussels, Belgium, the IMS has five divisions and c. 500 staff seconded from NATO member states and is led by a Director General. Yaşar Güler is a Turkish general who currently serves as the 30th Chief of Staff of the Turkish Armed Forces, serving in the position since he succeeded Hulusi Akar in July 2018.